The Norton brand is unmatched in the quality and efficiency of their products. 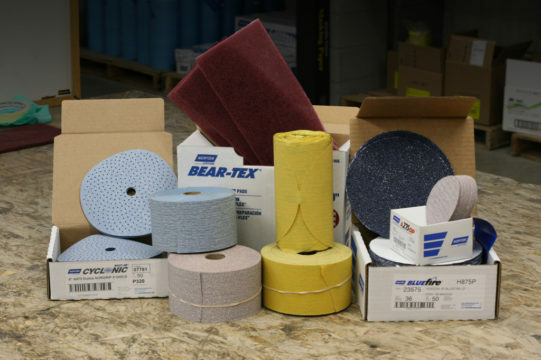 Featuring letex-paper backed abrasives, Made in USA tapes and sandable structural adhesives. From economical to ultra premium, Norton offers a variety of abrasives that cut fast, last long, and resist loading. Norton PG and AM brand tapes are made to provide the excellent holding power with no bleed-through or flaking upon removal. They can be exposed to wet sanding without adhesive transfer. 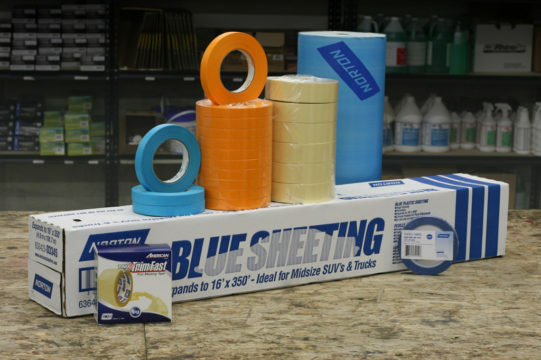 Norton Blue Sheeting features a specialized outside layer of plastic that eliminates flake-off and can be cut and painted along the critical edge. 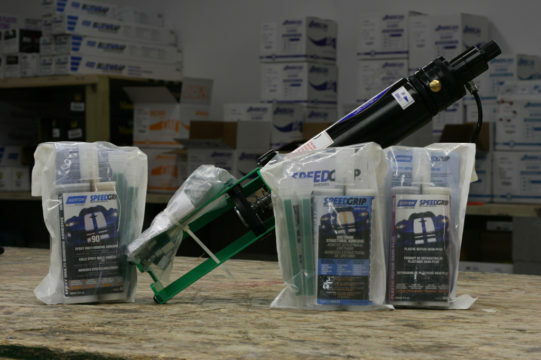 The Norton SpeedGrip line of adhesives provides a full range of structural adhesive products. The acrylic adhesives are best for metal-to-metal bonding and eliminate the need for welding. The urethane adhesives are excellent for plastic repairs and will not lift, roll, or shrink. The epoxy adhesives are perfect for undetectable SMC repairs, sand easily, and will not lift or roll up. Questions About Norton Products? Contact Us Using the Form Below.